The Last Tradition: Hey, Michael Wolff, President Trump holds bipartisan immigration meeting, for the whole country to see and looked fully competent as president , How do you explain that? 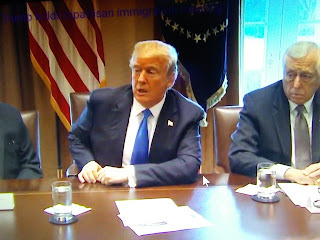 Hey, Michael Wolff, President Trump holds bipartisan immigration meeting, for the whole country to see and looked fully competent as president , How do you explain that? I think Michael Wolff needs to explain why did President Trump looked so much in control of this meeting. Could it be the one with the mental deficiency is Michael Wolff?